Fracking, wind farms and other forms of major energy resource projects are of increasing concern to homeowners and property investors in the UK. In response to this drive for new and renewable energy, GroundSure has produced a new report that will identify sites of interest within 25km of a property. 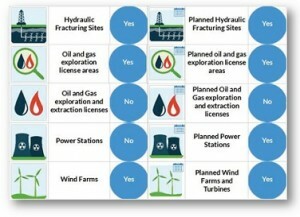 GroundSure Energy is the only report that details existing and upcoming applications for shale gas, oil, gas, wind and power stations, bringing with it potential advantages as well as disadvantages. Communities in proximity to fracking and wind power sites could see subsidised energy bills, however this could come at the cost of the homeowner's future enjoyment of their property.